Because of you, families at risk of hunger will have the nourishing food needed for a healthy life and a happy home. 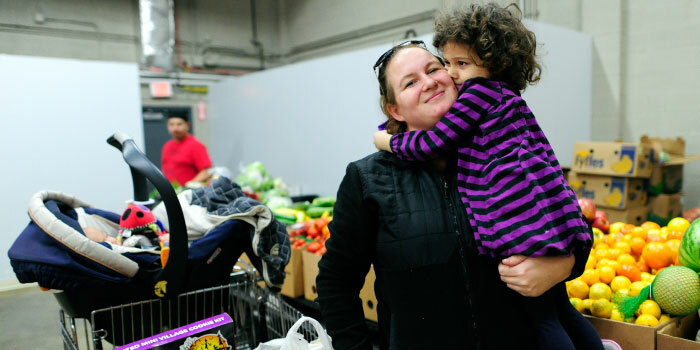 With every $1 you donate, we can provide 4 meals for our neighbors in need. Get information about sustaining donations. You can make an automatic credit card donation monthly, quarterly, semi-annually or annually. When you complete this initial donation, future donations will be charged automatically from your account on the same day each month. For example, if you set up a recurring donation on the 15th, your future donations will be charged on the 15th of each month. You will receive an email confirmation for each recurring donation. If you need to make any changes to your donation, please use our Gift Service Center. You may also email contribute@centraltexasfoodbank.org or call us at (512) 282-2111. You provide 2,000 meals for your neighbors in need. You provide 1,000 meals for your neighbors in need. You provide 400 meals for your neighbors in need. You provide 200 meals for your neighbors in need. You provide 100 meals for your neighbors in need. 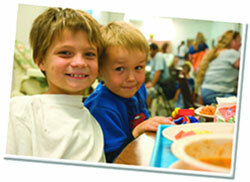 Would you like to receive e-mail updates from Central Texas Food Bank? You can unsubscribe at any time.